Speaking about His true followers, Jesus said in His Sermon on the Mount:“You are the salt of the earth.” (Matthew 5:13) Those of you who are familiar with Jesus’ parables and teachings know that He almost always used earthly things to teach heavenly things. It was common for the people of His day to hear Him speak about such things as bread, doors, light, sheep, shepherds, houses, seeds and birds, among other things. When He taught that His true followers were like salt He was saying much more than what it appears to be on the surface. In those days, salt was not only useful and necessary, it was also very valuable. In fact, the word “salary’ comes from the Latin word “salarium” which was the allowance given to Roman soldiers in those days to buy salt. 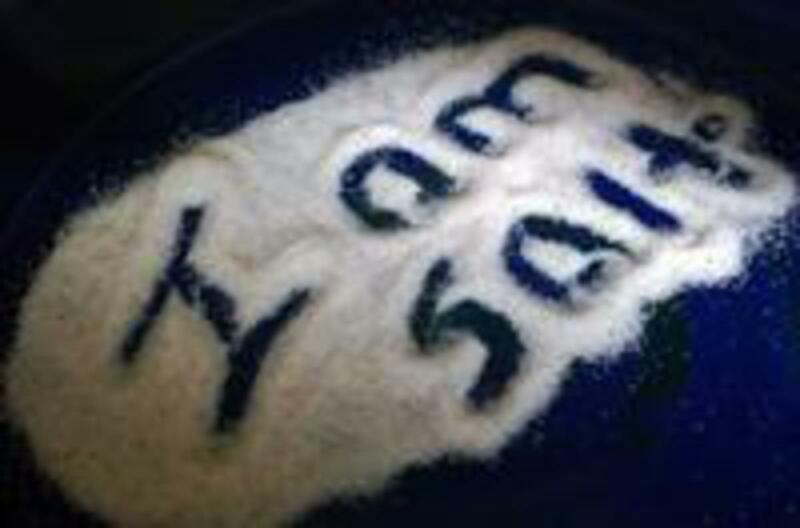 It still has the same qualities today but back then people were more aware that besides giving flavor, salt was an antiseptic, preservative, an antidote for heat exhaustion, (in my early years in the Post Office, carriers were all given a supply of salt tablets on hot summer days) and was used in all animal altar sacrifices. It symbolized durability, fidelity, and purity, a desirable description of God’s children, don’t you agree? I have no idea whatsoever, then, why profanity is often described today as “salty’ language. I’ve heard many remark that when their doctor advised them to eliminate salt from their diet, they chose not to follow that advice, some even insinuating that they would rather die than give it up. You’re not in that group, are you? Let’s be honest; doesn’t our mouth water sometimes as we think of that big juicy steak or some other favorite meal we are planning on eating? You know what makes that food so appetizing? Among other ingredients, it probably has a generous amount of salt. Even knowing that, some people want more and may add a few more sprinkles as they dig in. If God’s people are indeed the salt of the earth, they are giving this world more flavor and inside of them (Christ) is the antidote for the lethal effects of sin. Just as salt makes food more desirable, those who live for Christ create a thirst in others to want to join them. This is a well known Spanish phrase: “De ver, dan ganas.” It means that when others see us really enjoying something, they immediately want to join in. What do you do when you see someone eating a big juicy steak or hamburger? If I remember the story correctly, Tom Sawyer fooled his friends into whitewashing (painting) a long wooden fence by pretending he was having a great time doing it. His performance was so convincing, they even gave him things for the privilege. In our case, there is no need to pretend. What we have in Christ is reason enough to be joyous and enthusiastic, and many who see it want a part of it too. That is one reason Paul gave this advice in Philippians 4:4: “Rejoice in the Lord always. I will say it again: Rejoice!” To rejoice in Christ is to give salt to others. On the other hand, Jesus said that if we lose our joy it is like the salt which has lost it’s flavor. He added in Matthew 5:13, “It is no longer good for anything, except to be thrown out and trampled by men.” Lets pray that we never lose our “salt” for there are many people all around us whose life is in dire need of it.